The Triple Crown is also a traveling trophy that can be claimed by glider pilots based at any of the three gliderports. 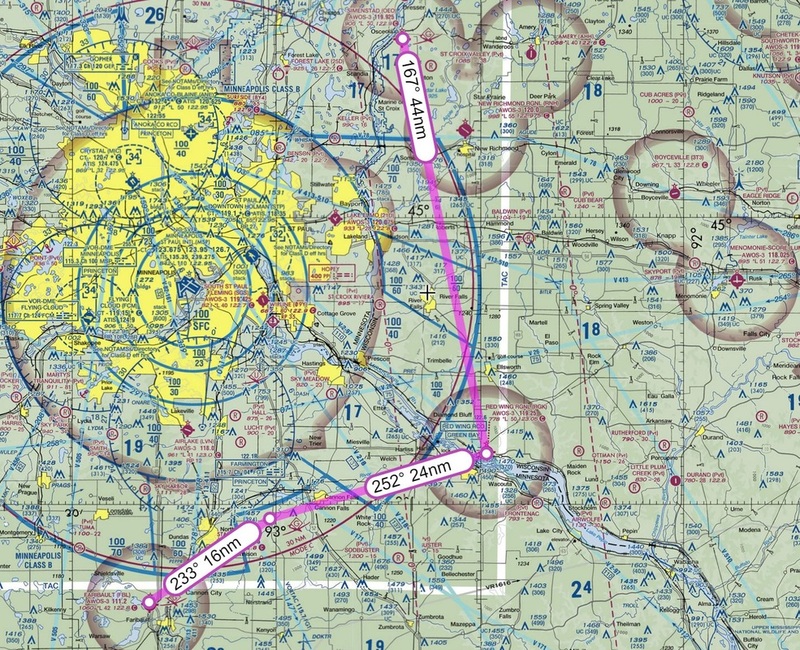 Those gliderports include Faribault, Stanton and Osceola. The flight is approximately 85 miles if you avoid class B airspace. As you need to go to three airports it is not required to land at any particular gliderport. The pilot just needs to prove either overflying or landing, typically with a flight data log. 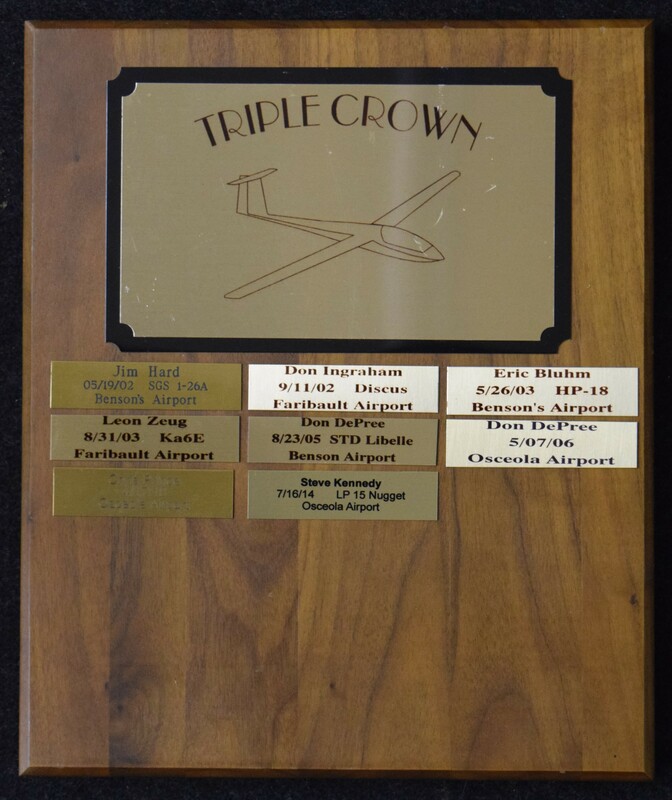 ​Along with the Delbert once glider pilots make the flight to claim the trophy, other glider pilots know that they have been challenged to come and claim the trophy back.